This is a more challenging ride that starts with riding along the Schuylkill River trail before traveling through rolling farmland and forests before reaching the State Park and climbing your way to camp. This challenge means Sunday morning begins with a descent and rolls you home. The sites at French Creek are wooded, pretty private, and have wonderfully modern amenities! This trip will be about 49 miles each way. Our final trip for the 2019 season will be a very chill ride across the Delaware into New Jersey’s Pine Barrens where wooded campsites lend well to tents, hammocks, or cowboy camping for those who dare sleep exposed to the Jersey Devil. This trip will be about 35 miles each way. We are very excited to be bringing Cycles Campouts back for 2019! To kick things off and help deal with those winter blues, we will be rolling out our trips, offering tickets and season passes, and raffling prizes to benefit Circuit Trails! It will also be Cycles PHL's 3rd anniversary! Come celebrate with us! We want to share our love of bicycles, adventures, and the outdoors and so we organize Cycles Campouts: beginner-friendly overnight bike camping trips in the Philadelphia region! Cycles PHL is a community-oriented bicycle sales and repairs store in North Philadelphia. Your guides are Travis, Jake, and Avery! Cycles PHL in North Philly is hiring! We are a small (but mighty!) 3 year old service based bike shop adjacent to Temple University. We pride ourselves on the bright, friendly and comfortable space we have created to serve the bicycles and riders of North Philadelphia. This is a very fast paced work environment where the ability to juggle tasks while staying cool, calm and collected is very important. Outside of the daily operations, we host and attend a number of community programs including youth and adult workshops, free repair days, film screenings, and more. Interest in organizing and running these events is a huge plus! With the size and pace of the space there isn’t much distinction between roles, so flexibility is key. The goal of this position is to support the daily operations of the shop which includes repairs, sales, programming, and general upkeep. Training will be provided for a candidate who will thrive in this community oriented space but lacks in mechanical ability. This position is for part time employment. Pay is competitive and experience dependent. For September's campout we are inviting y'all to camp at French Creek State Park with us! We’ll ride out, camp overnight, make s’mores, tell scary stories, and ride back to Philadelphia the next day! Mileage: Roughly 48 miles there, and 48 miles back. No-drop both ways. Want to fix your flat tire but don't know how? Trying to grease that squeaky bottom bracket you've been neglecting? Just want to come hang out and talk about bikes? If so, you're in luck, because Bike Salon is back! The inclusive North Philly open-shop started years ago when Neighborhood Bike Works occupied this space and is now flying under the Cycles flag. This Second-Sunday-of-the-month open-shop will be part skills clinic and part true wrench turning, greasy handed, tool borrowing workshop space. The first hour of each three hour session will be a skills clinic (this month is brake adjustment) followed by two hours of volunteer assisted workshop time. While everyone is encouraged to attend the skills clinic starting off each session, it is not mandatory. New and used parts will be available for purchase. Cash only! Please join us Sunday from 3-6pm for a wonderful afternoon full of learning, bicycle tools and friendly conversation! The skills clinic will be from 3-4pm. This last-Sunday-of-the-month open-shop will be part skills clinic and part true wrench turning, greasy handed, tool borrowing workshop space. Please join us Sunday, June 29th from 3-6pm for a wonderful afternoon full of learning, bicycle tools and friendly conversation! The Tour de Shore is a 65 mile charity bike ride from Philadelphia, PA to Atlantic City, NJ. New this year, we have added a second starting point in Berlin, NJ which takes riders on a 50 mile ride to Atlantic City. Upon arrival in Atlantic City, riders are greeted by friends and family, volunteers and supporters where we celebrate their amazing physical accomplishment and raise additional funds at our legendary after party. All proceeds from the Tour de Shore go to the Tour de Shore Children's Foundation which supports local children's charities and the families of fallen first responders in the Philadelphia and South Jersey area. For July's campout we are inviting y'all to camp at Ridley Creek State Park with us! We’ll ride out, camp overnight, make s’mores, tell scary stories, and ride back to Philadelphia the next day! Please join us Sunday, June 24th from 3-6pm for a wonderful afternoon full of learning, bicycle tools and friendly conversation! We'll be out in the woods all weekend, see y'all on Tuesday! Now in it's 14th iteration, the AFFR is basically a huge, city-wide scavenger hunt through Philadelphia. Riders will stop at various checkpoints, performing goofy, fun tasks and collecting points along the way. Some checkpoints are bars, some are parks, some are local businesses that support cycling. Typically, we've had all sorts of riders take part in this event - from messengers, to families on tandems and cargo bikes, to more casual riders. We're proud to have one of the longest running messenger events be so inclusive. Seriously, whether you're in it to win it, or just down for a nice leisurely ride to a few spots, you're guaranteed to have a blast! “Recovery in Motion: Peddling Toward Wellness,” is a bike ride in celebration of behavioral health recovery. To register for the ride prior to the day of the event, please visit the Recovery in Motion: Peddling Toward Wellness event page. If you or your organization would like to have a table at the event’s starting location, visit the Ride for Recovery Resource Table Sign-Up Page. 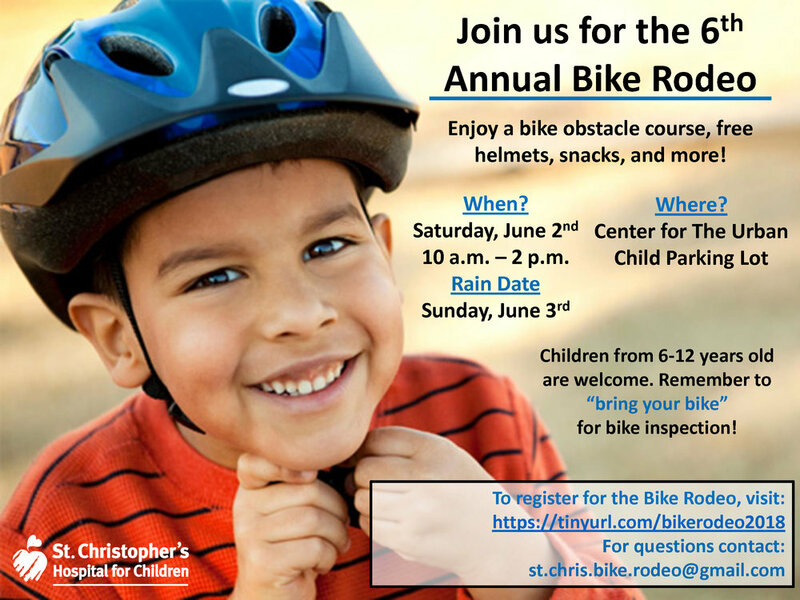 Day-of event registration and bike rental will start at 10 a.m., and vendor setup begins at 9 a.m.
Bring your bike or reserve an Indego bike in advance, or call 215-910-9206. Indego bikes are limited. You must be 14 years of age or older to ride an Indego bike. All events will originate at the Dell Music Center parking lot, located on Strawberry Mansion Drive near 33rd Street. For our Inaugural Weekend trip we will be leading a group to camp at Green Lane County Park at the end of the Perkiomen Trail! We’ll ride out, camp overnight, make s’mores, tell scary stories, and ride back to Philadelphia the next day! Mileage: Roughly 42 miles there, and 42 miles back. No-drop both ways. Please join us Sunday, January 28th from 3-6pm for a wonderful afternoon full of learning, bicycle tools and friendly conversation! The 2nd annual In the Saddle Bike Drive is here! Help support our great friends at In the Saddle Philly in their journey of recovery and sobriety. To grow the program we are looking for new/lightly used: road bikes, tires, components, helmets, shoes, apparel and water bottles. Donations are accepted at Cycles PHL during normal business hours. With your donation, we are offering a 15% discount off of anything in the shop! Thanks y'all, and see you In the Saddle! Please join us Sunday, November 26th from 3-6pm for a wonderful afternoon full of learning, bicycle tools and friendly conversation! Feel free to bring some turkey day leftovers!! We will be closed for Thanksgiving Day and Black Friday. Be sure to stop by Saturday, Nov 26th for our Small Business Saturday Sale! Please join us Sunday from 3-6pm for a wonderful afternoon full of learning, bicycle tools and friendly conversation! We will once again be at Temple Contemporary doing FREE tune ups! This event is first come first served, so get there early! We are excited to be a part of Bike to Barnes! We will be hosting a group ride to the event from the shop at 5:30pm on September 14th. The Barnes is teaming up with Indego Bike Share for this free open house celebrating all Philadelphia riders. We’re unveiling ten Indego bikes wrapped in Barnes paintings, all selected by public vote. Be the first to see these bikes and vote on the next round of wraps to hit the streets in 2018. We’re open late with free access to the collection and pop-up talks on the artworks you’ll see rolling through the city. Also catch our exhibition Urban Riders, inspired by artist Mohamed Bourouissa’s collaboration with a group of young horse riders in North Philly. Indego will be here with swag giveaways, test rides, and community partners talking about biking in Philadelphia. Plus, meet the owners and staff of bike shops around the city. Indego will valet Indego bikes, and Neighborhood Bike Works will valet personal bikes. Join Town Watch Integrated Services, State Representative Donna Bullock, Indego Bike Share, the Philadelphia Police and the Bicycle Coalition of Greater Philadelphia for a morning bike ride to explore the Strawberry Mansion neighborhood of Philadelphia! Limited bikes will be available for free use courtesy of Indego, must be 18+.